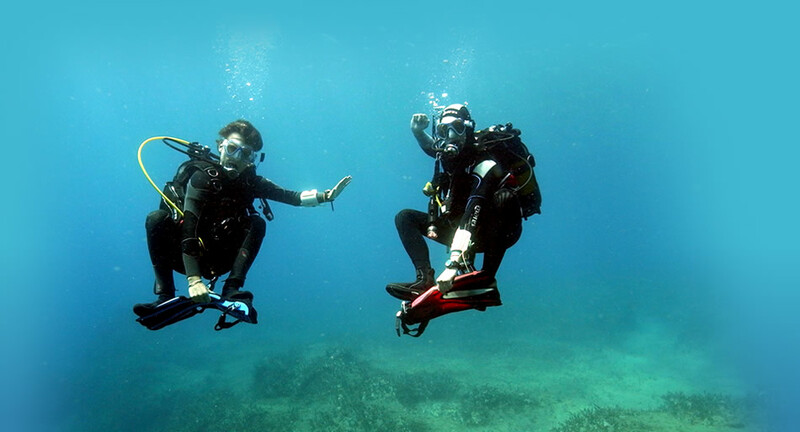 Do the PADI Boat Adventure Dive and practise your giant stride! Try it out and you will see that boat diving adds another level of excitement to the day! From the boat we often spot life which is not as common to see from our shore dive sites, such as this lobster! We are very proud of our ::Philomena:: and rightly so! She is a custom-built diving motor-cruiser, creating the perfect setting for a wonderful day of boat diving! To cover our boat fuel costs and the food and drinks that we provide on board, there is a boat surcharge.